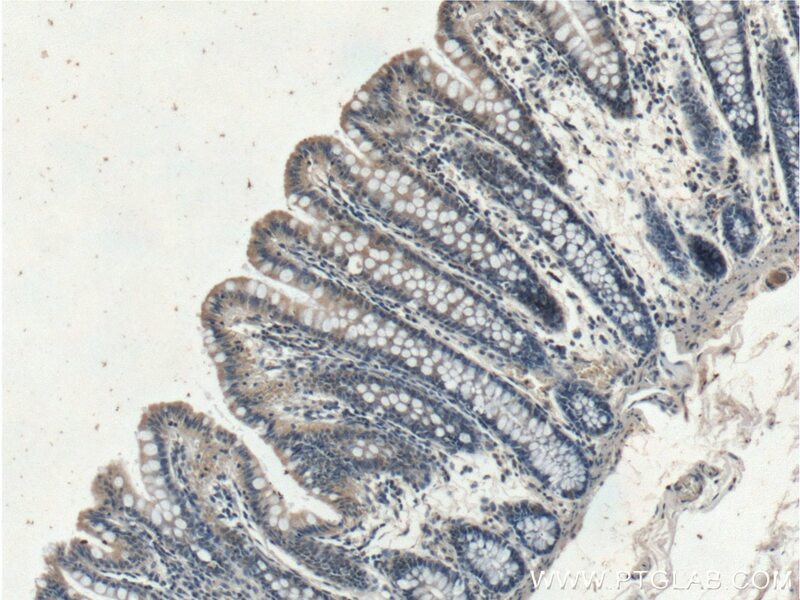 Immunohistochemical analysis of paraffin-embedded human colon tissue slide using 23453-1-AP( XIAP antibody) at dilution of 1:200 (under 10x lens). 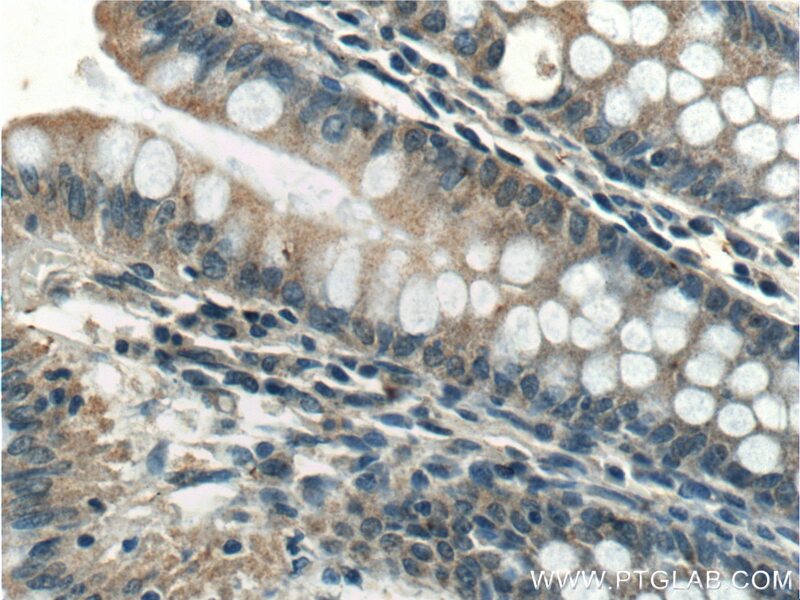 Immunohistochemical analysis of paraffin-embedded human colon tissue slide using 23453-1-AP( XIAP antibody) at dilution of 1:200 (under 40x lens). XIAP, also named as API3, BIRC4 and IAP3, belongs to the IAP family. It has E3 ubiquitin-protein ligase activity. 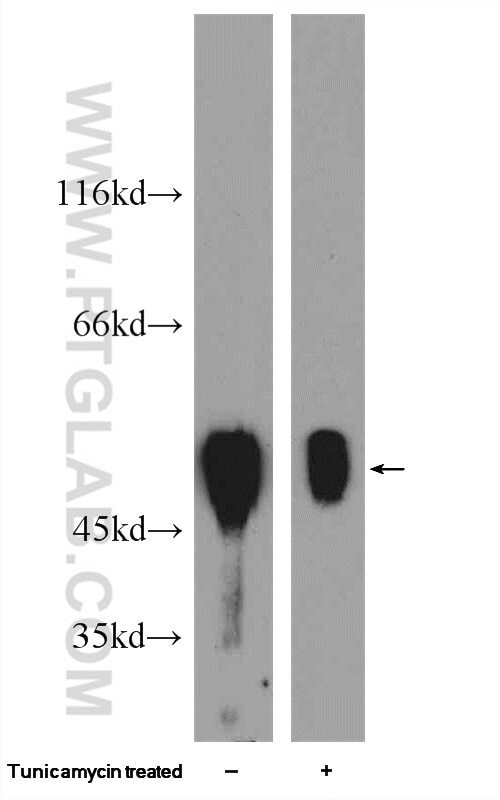 It mediates the proteasomal degradation of target proteins, such as caspase-3, SMAC or AIFM1. XIAP is an inhibitor of caspase-3, -7 and -9. It mediates activation of MAP3K7/TAK1, leading to the activation of NF-kappa-B. XIAP is an apoptotic suppressor. It is ubiquitinated and degraded by the proteasome in apoptotic cells. The MW of XIAP is 45-56kd. 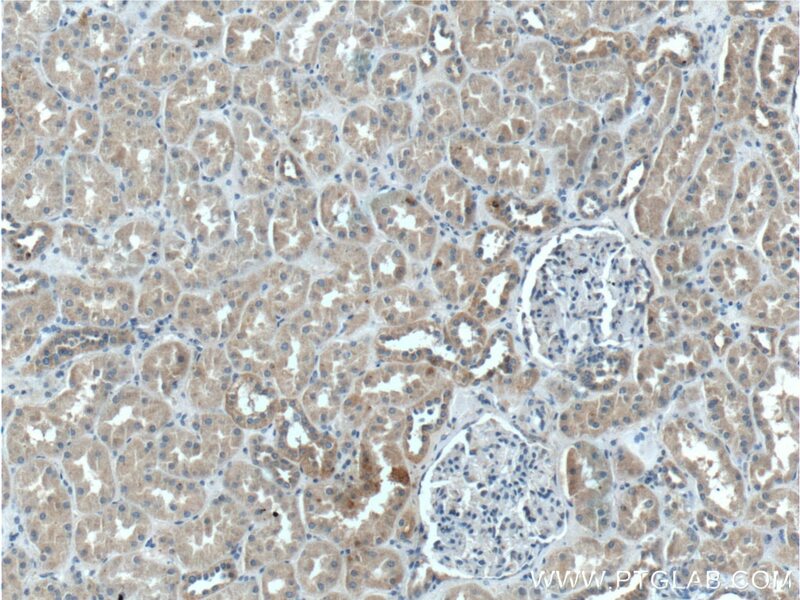 Immunohistochemical analysis of paraffin-embedded human kidney tissue slide using 23453-1-AP( XIAP antibody) at dilution of 1:200 (under 10x lens). 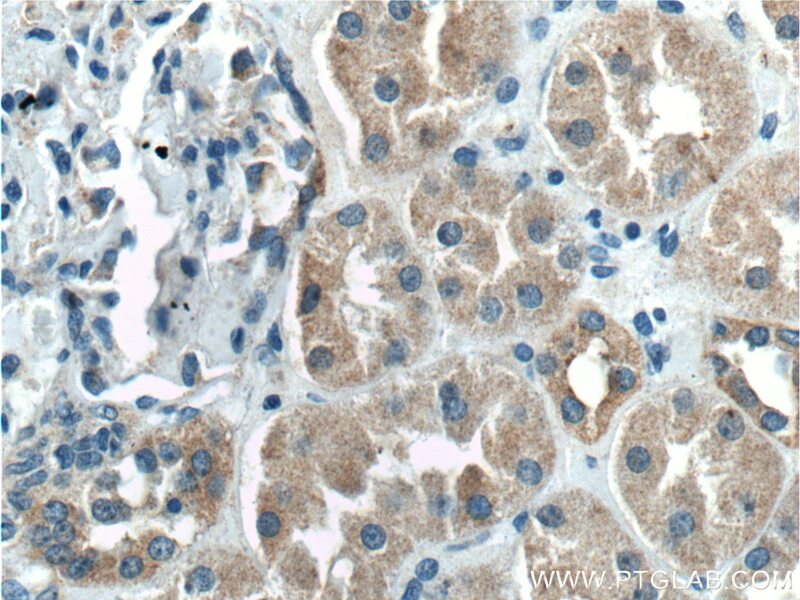 Immunohistochemical analysis of paraffin-embedded human kidney tissue slide using 23453-1-AP( XIAP antibody) at dilution of 1:200 (under 40x lens).